PLEASE NOTE I am not affiliated with ALIGN nor do I sell these devices, I am just a RPAS pilot. If you have questions visit this Facebook Group. The mulitcopter market continues to gain traction. Recently, ALIGN Corporation Limited1, based in Taiwan, have been teasing their entry into the multicopter market. Having a reputable background making excellent quality RC Helicopters and planes, since 20032, this looks to be some solid competition for DJI’s pro-range of multirotor RPA’s. The release date is still unknown at the time of writing, but from a Facebook update last week, it looks to be almost ready for prime time. Here’s some information I’ve managed to obtain from their tepid product marketing thus far. A recent video from ALIGN’s YouTube channel shows the M480L (4 bladed Quadcopter with retractable landing gear) carrying a Panasonic GH4. Impressive! The performance looks very good. Flight time with the example payload seems to be similar to the higher end DJI Hexacopters. Naturally, consumer mulitcopter endurance is ultimately governed by current LiPo battery technology so this is not surprising. 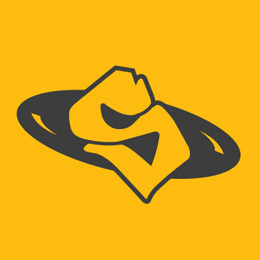 The following info is taken from some marketing brochure images. I’ve edited this in parts to make it more legible. This multi-purposed professional mulitcopter is superior in both high speed agility and static stability and exceeds in all areas. Suitable for professional aerial photography and hobby flying alike. The light weight allows for easy transport anywhere. The innovative streamlined moisture resistant canopy features a screw-less quick latch mounting design that is easy, quick, and reliable. In addition, canopies with a variety of multi-coloured graphics are available for customisation by enthusiasts. A unique common platform allows for both highly agile 4 rotors, or heavy lifting 6 rotors, configurable based on the users requirements. Finished in a matte carbon fiber matched with highly rigid industrial grade plastic for overall weight reduction and increased rigidity. Additionally, the matte finish is effective in minimising unwanted glare which can affect camera images. ALIGN’s brand new multi-rotor specific BL4213 370KV brushless motor inherits ALIGN’s core motor technology, featuring high torque, high efficiency, low power draw, and low temperature. The superior performance enables the M480 to achieve a 20 min flight time with no payload using a single 6S 22.2V 5200mAh battery, and 9mins with a G3 Gimbal + Panasonic GH4 payload. The motor mount is made using carbon fiber embedded, injection moulded, industrial grade plastic. The streamlined shape features high rigidity and is light weight with vibration absorbing characteristics. 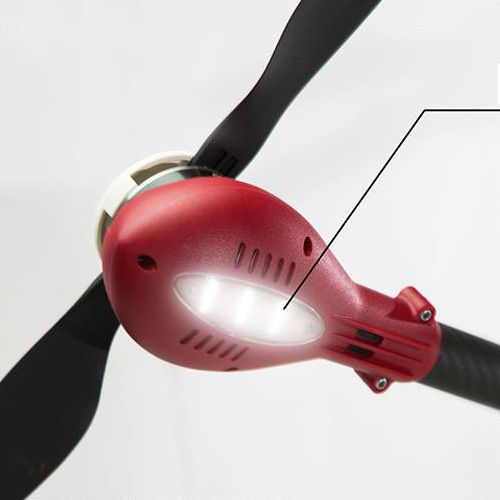 The motor mount features a high luminous LED for flight orientation. The LED colour can be switched between red and white based on needs and provide low voltage warnings. The motor mount’s house 40A high speed Electronic Speed Controller (ESC) motors which can reverse rotation. The highly rigid industrial grade finer composite plastic main blades are quiet and aerodynamically efficient. Multiple colours are available for enthusiasts to customise their look. 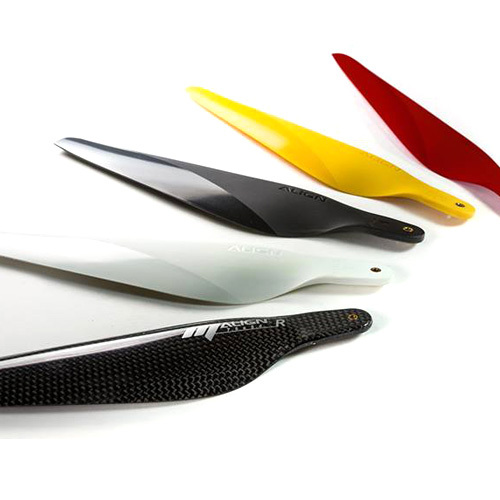 In addition, light weight and highly rigid all carbon fiber main blades are also available which features even higher flight efficiency and longer flight duration, while providing faster and more precise flight response. A quick release battery mounting plate and rail allow for single handed quick battery replacement. The double decker battery mounting plate is designed to allow for a single 6S (up to 12000mAH size dependent) battery, or two 6000mAh batteries. This system allows for flexible battery selection and variable CG adjustment. Gold bullet connectors are rated for 100 amps, with patented built-in anti-sparlk system at the tip of the battery mounting plate. This system, eliminates long term wear and damages to the electronics from poor connections of worn plugs, and provides a safe and reliable connection. Multi-function system control panel consists of power button and battery status indicator. The power button eliminates complicated power-on sequence; just a simple press to activate power. The battery status indicator displays live battery capacity for a quick view of remaining power. In addition, the APS-M status indicator is also integrated here for the pilot to read the current flight modes. Features low noise, highly reliable, all metal retractable legs. Minimalistic design proven with 20,000 repetitive actuation longevity tests. The landing gear enables zero blind spots for the camera, while providing superior longevity. Twist off screw enables quick folding of the rotor arms without any tools. 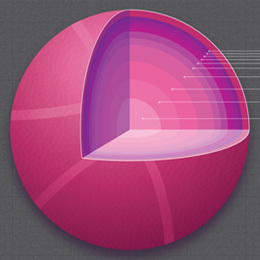 Once folded, the overall size is greatly reduced for easy transport. The highly rigid industrial grade fiber composite plastic main blades are also foldable for ease of transport. The Intelligent Power Control Unit (PCU) acts as the centre piece for power and signal management, distribution, and control. 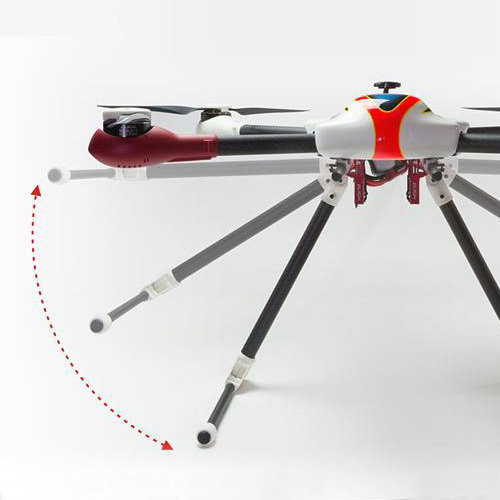 With a single battery, the system distributes power to motor, flight control, gimbal, retractable landing gear, downlink system, etc. In addition, it integrates all signals between APS-M, G2/G2 Gimbal, OSD, and the data downlink system. It also controls the gimbal’s panoramic photo mode, fix point photo mode, and retract system. The system will automatically power-off in 3 minutes after the aircraft has landed and remained stationary. 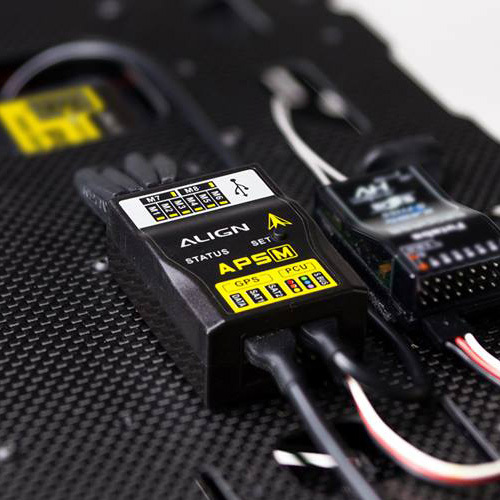 A brand new APS-M multi-rotor auto pilot system with superior performance through cutting edge IT technologies, utilising high precision sensors and modern system subroutines. Supports Quad (4), Hexa (6), and Octo (8) rotors. 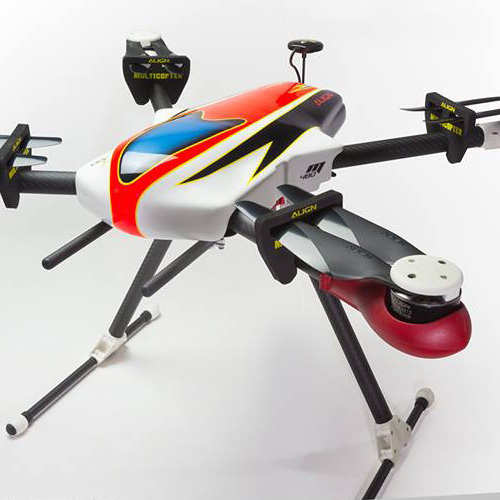 Flight modes include attitude, GPS Speed, GPS Angular, Intelligent, and Manual. In addition, it features a GoHome failsafe, low voltage failsafe (through LED indicator and auto GoHome), OSD signal output, gimbal control, fix-point survey functions. 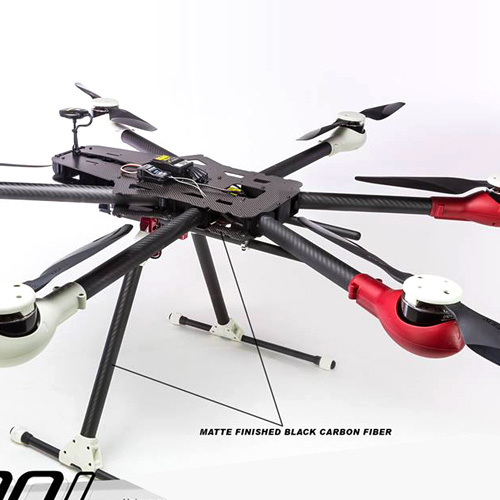 All said, the ALIGN M480L / M690L Multicopters look like great machines and are highly competitively priced. 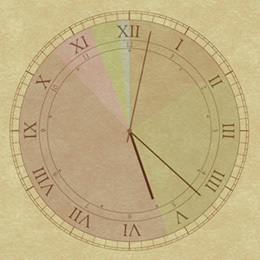 Time will tell if the flight controller and connected systems perform well. Certainly one to keep an eye on. Here’s a setup video for the M480L which gives a good indication of size, etc. I have one of the 480’s on order with GH4 Gimbal. Any idea which lens I need for this set up? I have the camera body on order, I assume it’s the 12mm – 32mm pancake lens, but don’t want to assume. I can of course get a better deal with a little time allowed for shipping. Not sure, but I’d be interested to know this too. I think I found out. It’s an Olympus f2.0 12mm prime that’s $800. I was hoping it was the 12-32 which is a much flatter lens. Thanks for the kind words Mical. I know first hand that DJI have had plenty of issues, but I do think the quality of their overall product line is very good. For my current requirements, I’m actually considering buying an Inspire1 as opposed to a ML690. The advanced features it offers are seriously desirable, and currently unparalleled for the price. You have to admit, it’s a very impressive bit of innovation. Only sticking point is the camera. However, for my needs I’m currently getting good results with a GoPro 4 – the Inspire’s camera is much better suited for aerial work due to it’s superior lens. It’s also upgradeable and I imagine DJI will continue to focus (no pun intended!) on building even more capable cameras going forward. It’s not unreasonable to think there will be something to rival the GH4’s capabilities. Hi there I have a align m690 and I’m having trouble finding a case 4 it.anybody have any ideas. I was looking at the Dewalt large tough box not sure if it’ll make it.